Who else got excited to see the Erumpant horn? And Leta Lestrange! I think at certain point that justifies it because they are opposite begginings: good side at first, bad side at last. If we took this example, there isn´t another case in the books that start "withouth Harry" and has the "side example". However, I understood your opinion and I am not saying that it isn´t true. Someone should order all the examples that we put in this topic :P .
Book 1: Harry saw his parents through Erised's mirror. Book 4: Harry meet his parents in his duel with Voldemort. Book 7; Harry used the Resurrection Stone and meet his parents again. First of all Hello everyone!!!! and 2nd oh my god Fantastic Beasts was amazing!!!! I love being back in the potterverse. 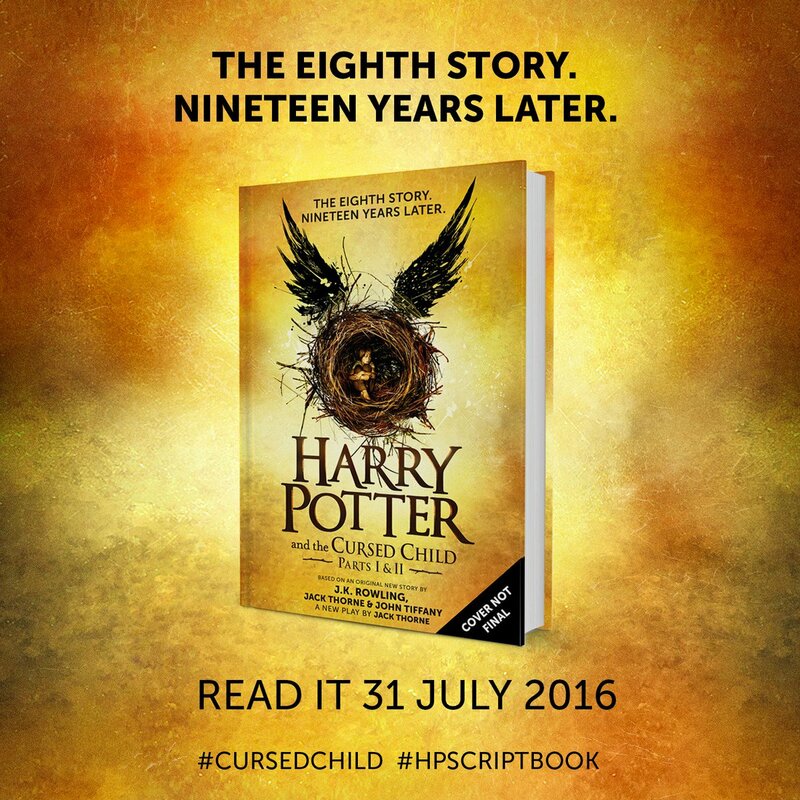 Harry Potter and the Cursed Child - Script to be published in book format. Big things are coming this year from the Wizarding World, including the Special Rehearsal Edition of the script book of new stage play ‘Harry Potter and the Cursed Child Parts I & II'. A host of new print and digital publishing has been announced from J.K. Rowling’s Wizarding World, including a Special Rehearsal Edition of the script book of new stage play Harry Potter and the Cursed Child Parts I & II. Print and digital editions will publish simultaneously after the play’s world premiere this summer, and will comprise of the version of the play script at the time of the play’s preview performances. Theatre previews allow the creative team the chance to rehearse and explore scenes further before a production’s official opening night. Harry Potter and the Cursed Child opens for previews several weeks before its official first performance on Saturday 30 July and the Special Rehearsal Edition of the script book will later be replaced by a Definitive Collector’s Edition. Pottermore will bring you further updates on the Definitive Collector’s Edition as we learn more. Readers and moviegoers last saw Harry waving off his children at Platform Nine and Three-Quarters, 19 years after the Battle of Hogwarts, in the epilogue to Harry Potter and the Deathly Hallows. Harry Potter and the Cursed Child picks up after that moment and is staged in two parts, due to the ‘epic nature of the story’. The play opens in London’s West End this summer, based on an original new story by J.K. Rowling, Jack Thorne and John Tiffany. It is officially the eighth story in Harry Potter canon and a new play by Jack Thorne. 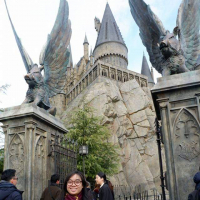 Interest in Harry Potter and the Cursed Child from Wizarding World fandom has been massive, and now Potter fans across the globe will be able to join Harry, Ron and Hermione on the next stage of their journey. Jamie Parker, who originated the role of Scripps in The History Boys, has been cast as Harry. He is joined by Olivier Award-winning actress Noma Dumezweni as Hermione and theatre, film and TV actor Paul Thornley as Ron. For J.K. Rowling’s devoted readers 2017 is also a momentous year, as it marks the twentieth anniversary of the UK publication of Harry Potter and the Philosopher’s Stone. Next year will see the publication of four special editions of the first book in the UK, one for each of the four Hogwarts houses. There will also be a brand new edition of Fantastic Beasts and Where to Find Them in 2017, with new content by J.K. Rowling, as well as new formats and editions of the Hogwarts Library books – Fantastic Beasts and Where to Find Them, Quidditch Through the Ages and The Tales of Beedle the Bard. Pottermore doesn’t play favourites, but we’re especially looking forward to nabbing a copy of Harry Potter and the Chamber of Secrets illustrated by Jim Kay. That’s coming a little sooner, in October 2016, and we’ll be prodding Jim for a look at his latest work soon because we’re nosy like that.